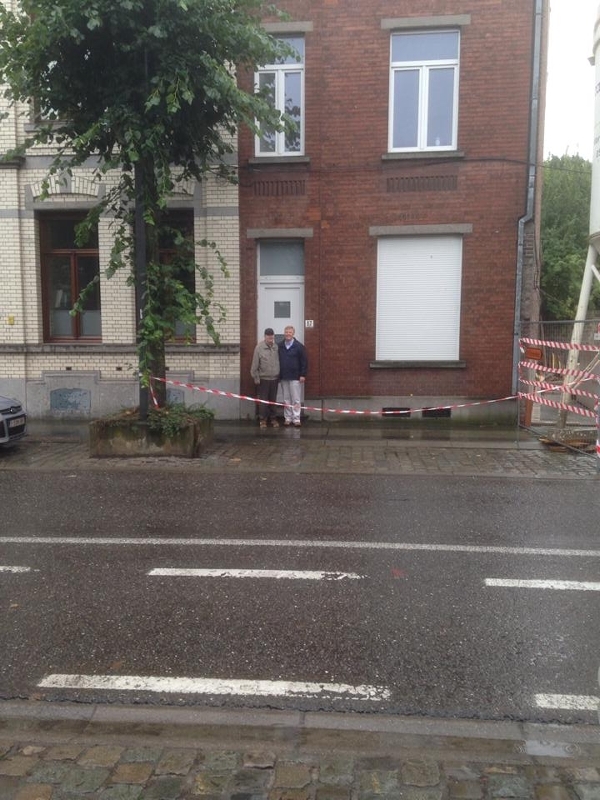 During the week of 7 July 2014 I was visiting Belgium. One of my appointments was to meet-up with a friend and colleague, Dave, from our illustrious past. 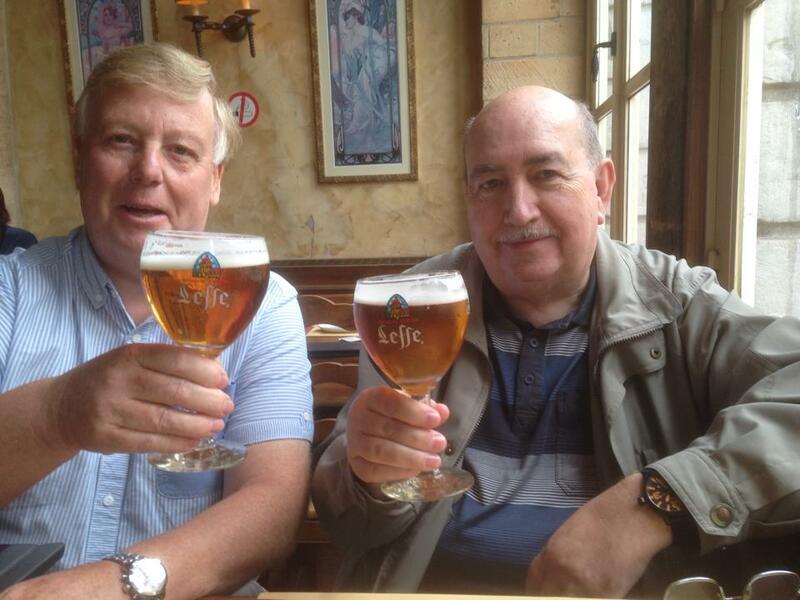 We both served in the Royal Air Force and worked together in the Middle East (45 years ago) as well as in Belgium (42 years ago). In service life it is not that common that colleagues should be sent to the same place twice. (Click on photos to enlarge). Apart from the fact that we served in these two places Dave had also met my late father. My father who, in his official function, looked after housing and accommodation furnishings for British married personnel in Mons (Belgium) and surrounding areas. Therefore, this was how Dave came into contact with my late father when entering his new home. Quite unique circumstances in our careers that warranted a small reunion. The trio, Dave, his wife and myself rendezvous in Brussels taking the train to Mons for the day. Taking into account that Dave’s last visit to this town goes back some 42 years we had some difficulty in finding his old home. Much has changed in the years but with the help of his mobile GPS we eventually found his old address. Dave also remembered the garage he used as well as the owner’s name, so off we went to try to find it. Dave’s memory was intact and we did find the car repair garage and entered to make enquiries. The garage was much the same as Dave remembered it and surprise the man greeting us in the office was a mechanic who remembered Dave. The employee promptly telephoned the old owner to let Dave say hello to him. The owner now being retired and having the respectable age of 84 naturally had difficulty in remembering some 42 years back but at least both had contact. 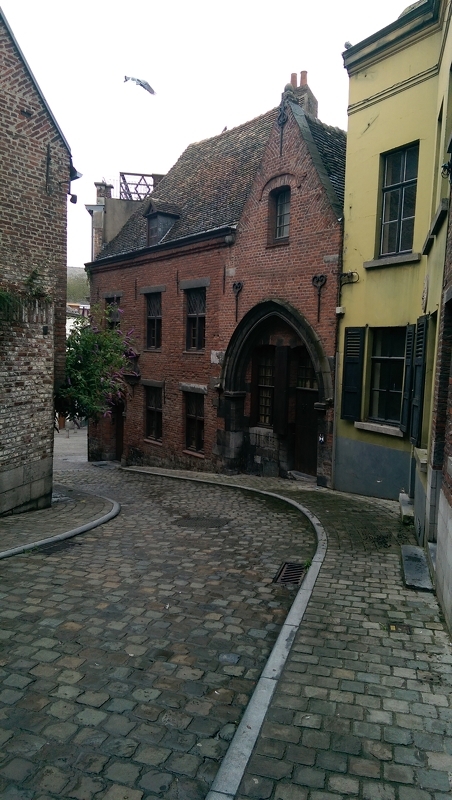 After this episode of going down memory lane our trio set-off for a little tour of Mons. This town is famous in Belgian history and many will immediately associate the name with World War 1. 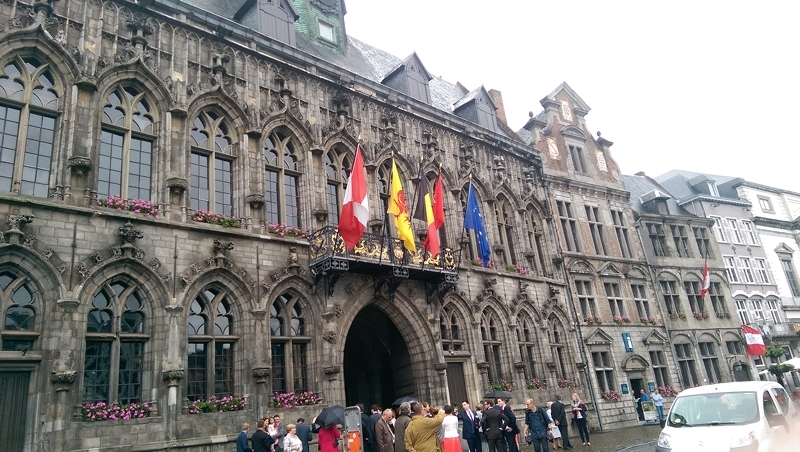 However, Mons dates back to Roman times and is worthwhile a visit of its historical streets and buildings such as the central square and town hall. Naturally, all the walking around gave us an appetite and thirst so off we went in search of sustenance. Thankfully, Belgium is renowned for a variety of good beers, many of which, are regional. Therefore, what a better way to end our reunion day tasting magnificent Belgian brew. The return by train to Brussels was cheerful and the day ended with an evening meal in a restaurant close to the European Union institutions. Happy to see you posting again and with a fantastic topic like see an old friend!! Well Mike, now I know why I had to wait so long to pick you up from Eurostar-Ebbsfleet in the UK. ps I lurrvve that “yr.no” weather scene of Vacoas on the previous page as well as the impressive animation and time-line. The twinkling stars makes me feel like an astronomer – again… ! !